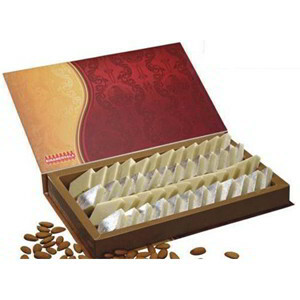 Luxurious sweet prepared from rich-in-taste almonds and milk solids and enhanced with a wrapping of silver warq. This sweet lends a touch of grandeur to any occasion. Net weight: 750gm.